Find your dream RV at a dream price with Lakeshore RV Center! As the top RV dealer in Michigan, we offer exceptional customer service, easy financing, and factory direct prices! Visit us at 4500 E Apple Ave Muskegon Michigan 49442 or call us at 231-788-2040 to learn more about this Travel Trailer! 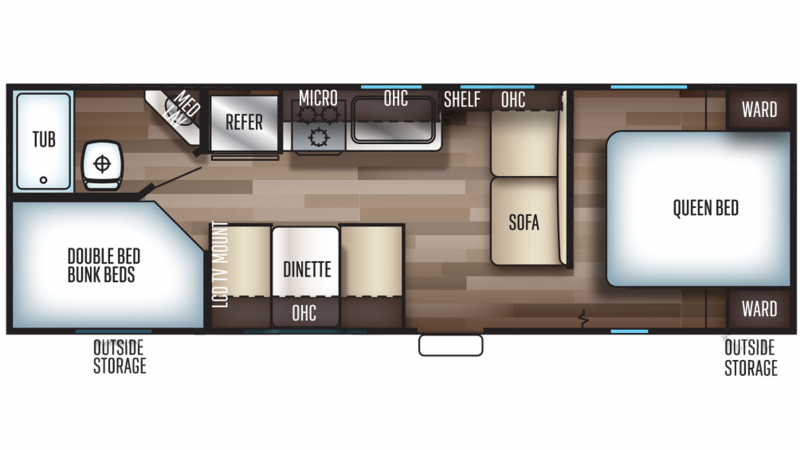 You'll love every moment with this 2020 Forest River Grey Wolf 26DJSE SPECIAL EDITION! This Travel Trailer is built to tow and go, with a hitch weight of 574 lbs. and a sturdy GVWR of 7574 lbs. When you reach your campsite, the 15' 0" patio awning opens easily to provide your family with shade and UV protection! Sleep like royalty inside the master bedroom, with its snug Queen bed! A family as large as 8 people can sleep comfortably inside this cozy camper! Peace and quiet can be found in the bunkhouse, so it's the perfect place for your kids or guests to sleep at night!